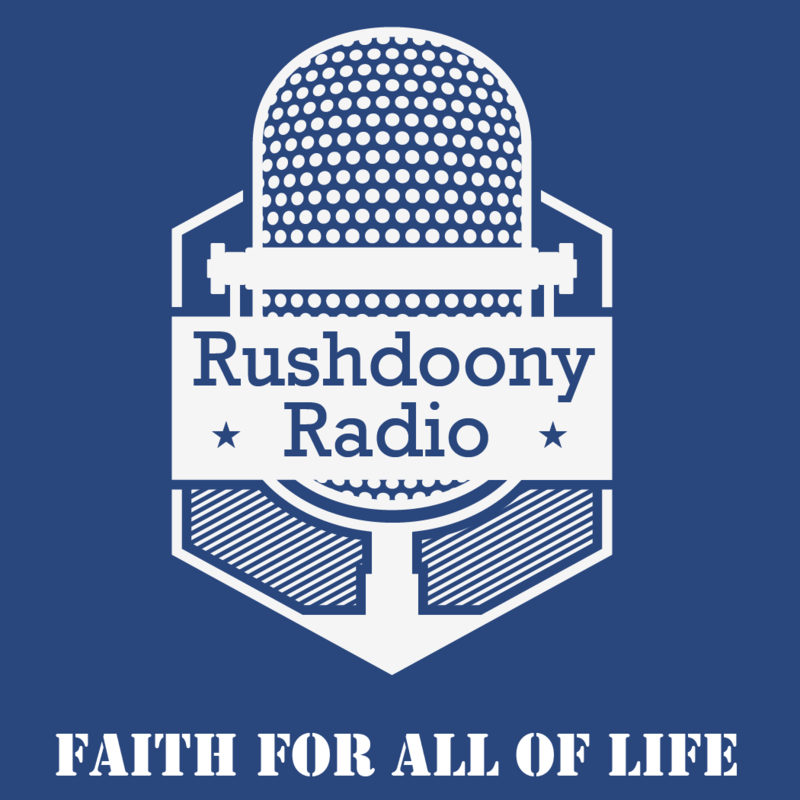 R.J. Rushdoony: 00:02 Is automation a threat? This is R.J. Rushdoony with a report on our threatened freedom. R.J. Rushdoony: 00:08 A very sizeable element of American workers view automation as a threat to their jobs. One thing is clear, industry is beginning to turn to automation. R.J. Rushdoony: 00:19 In 1981 General Motors decided to spend 200 million dollars on 800 new robots to weld car bodies at 7 plants. By 1990 General Motors expects to invest nearly 1 billion dollars in 13,000 more robots to do everything from assembling components to painting cars. Very obviously, many workers will be displaced by this automation. R.J. Rushdoony: 00:48 Also, this automation reduces costs. Every time labor costs go up $1, 1,000 more robots become economical. R.J. Rushdoony: 01:00 On the other hand, Japanese labor welcomes automation. In fact, by the end of 1980, almost half the worlds robots were in Japan. Giving Japan a strong edge in the worlds markets. More over, Japan is pouring money into automation research. Japanese management, and workers, are eager to see newer developments. As a matter of fact, even small businesses in Japan are using robots under a leasing program. R.J. Rushdoony: 01:33 Why the difference between the reactions of Japanese and American workers? Why do Japanese workers welcome automation with open arms and American workers fight it? R.J. Rushdoony: 01:46 Management clearly has an advantage in the change. First, the cost of production drops with automation. This makes the product more competitive on the world market. This fact has given Japan an edge over us. We were once the innovators in technology and now we have begun to fall seriously behind, in some areas. R.J. Rushdoony: 02:08 Second, with robots, there is a quality improvement. Fewer mistakes, no tardiness on the job, around the clock work, no strikes and fewer industrial accidents. R.J. Rushdoony: 02:24 The Japanese worker welcomes automation because he is assured of job security and is simply retrained for another kind of task. R.J. Rushdoony: 02:34 There are many who point out that, in the long run, more automation will create more jobs. When automobiles replaced the horse and buggy, many jobs were lost but many more were created. Technology provides more goods for the same money, and thus, increases the purchasing power of all of us. R.J. Rushdoony: 02:54 During the process of change over, however, things can be very rough for the workers. Unless, as with the Japanese, management works to make the transition easier for all. R.J. Rushdoony: 03:08 One way or another, more automation is on the way. The United States is lagging instead of leading. It must catch up quickly or jobs will be lost because we are not competitive. In the process, American management should show the same concern for it’s workers that Japanese industry does. American workers, instead of fighting automation, need to ask management to show as much cooperation as Japanese industry does. Thus to work for the enhanced productivity of their own goods. R.J. Rushdoony: 03:44 Fighting advancement is a losing proposition. It is a threat to jobs and to freedom.